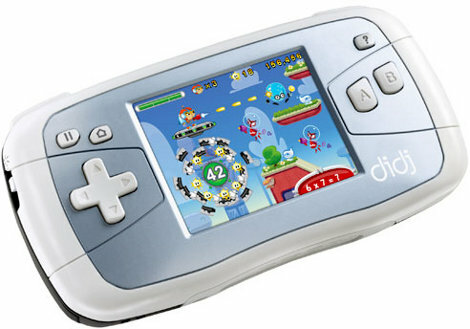 The Didj is also available on Amazon for $49, but unlike Woot’s sale, will be around after tomorrow. * System Software: Brio–Firmware is built on an abstraction layer called Brio to make OS and hardware transparent to developers. This means all software must be ported to Brio to run on this device. This is on woot.com RIGHT NOW! Saw the A + B buttons and immediately thought this puppy would make a nice NES and Gameboy emulator. Woot sells lots of overstocked stuff. The price is low, but it’s probably a very limited supply. They’re legit. I might make this a console for my R/C planes autopilot. Maybe a packet radio thing. We’ll see. Just bought it. Hoping to have some fun! Woot is a reseller, generally they buy up excess amounts of items, either refurbished, overstock, clearance, etc and sell them one item a day. They always list the condition (New, refurb’d, etc). Usually they get discounts when a store/chain doesnt want to sell the item anymore, and just wants to offload the merchandise. I need to get hold of one of these. Just ordered mine, I really need to start checking woot more often! There is a lot of possibility here, depending on the firmware you could get a more relaxed distro on it and really have some fun. War-walking and GPS are just two small modules away. purchased two. When it turns into something new, I’ll hit up the tip line. The GP2X is far more hackable has a SDK. This half hacked toy is not worth the effort unless you have days of time in mom’s basement to get to where you can be in 30 seconds on one of the open linux handheld gaming platforms. You obviously missed a big point of hacking, making things do what they weren’t designed to do makes it interesting. I purchased one of these recently for my daughter. It’s aimed for late elementary school kids. The software as it is allows for a lot of transparency as to how she is doing on an educational level. Of course, in a few years when she outgrows it, I now have a project device. Chill out, this is $25, not $150. If it’s 1/6th as good it will be worth it. I just hope that its easy to get an NES emulator on this thing. Anyone know? I just started clicking the links. I would imagine we’ll have a lot more hacks after today on this thing! I’m guessing the Didj hacking scene died out because these were relatively expensive to start ripping apart- I wouldn’t be surprised if the woot offering brings the scene back from the dead. cool thanks for the heads-up, these things are really useful. * cabextract -d test DidjPlugin.exe will put all the extracted files in the test directory. Mount the rootfs.jffs2 somewhere convinent and do a ls -lR >files this will give you a list of what’s inside. I want to see someone set it up with Android. Add a usb flash or sdmicro card reader for storage and this thing could be pretty cool! The ARM926 processor was also used in many wireless routers, where U-boot was also used as the Linux bootloader. Edimax, Linksys (T-Mobile), and a few others used this ARM platform. The ARM platform seems to becoming rather prolific in terms of hacking… I started out with 6502/z80 asm, then 8bit avr etc, and now getting into arm. Just ordered a Mini 2440 dev platform, seems pretty cool for $100… Both Linux and CE support. so hack away. The screen resolution is 320×240 so I doubt an NES emulator would ‘fit’ but maybe it can be done. This post makes me really wish I had a use for the device. I’ve already got a couple handhelds that will play linux though, so one more left for someone who needs it! I can’t wait until someone get doom running on this! Well mine has just been ordered. My next step…? The waiting. It bothers me…. +1 for “cool, I wish I had something to use it for”. No built-in wireless, so I can’t have it “control” anything; no commodity memory slot, so I can’t have it read/play/view any sort of media. No analog input / touchscreen, so your input vocabulary is pretty limited. I *want* to want to hack one of these, but I come up with anything that sounds like a good idea. Just a heads up to those that ordered from woot and have not experienced their shipping yet. Usually you would get your item in about 1.5-2 weeks but they just had a long woot-off and so they may be slightly behind on shipping so it may take about 3 weeks till you get your goods just so you know unless you 2 dayed it. And they use smart post which is another reason. enjoy your items and post how it turned out. I want one, but how do you transfer files to the device? USB? any possibility of ‘shoehorning’ a wireless usb extender or bluetooth? other than that, i cant see much use other than games, but then again there are easier platforms for this purpose.. i think. maybe some nice spare parts? Hmmm… Just bought one… This is going to be another of those things I buy to hack and then never work on I think. I hope someone else does the hard stuff lol. QVGA is fine. I play NES games on my 320*240 PDA all the time, with onscreen controls, too. Looks like Claude Schwartzs Gerbers could be run at BATCH PCB and get Me a set of SD cartridges for hacking. I got two didj’s from woot. So by the time they arrive from snail mail. I can have the batch PCB’s here as well. Nice to see the Didj gets interesting for other hackers as well. Sure , the gerbers should work at any PCB manufacture. No fancy drill sizes or line widths are used. But the FT232R footprint is not easy to solder by hand. I already ported over a library (libcastor from Orkie)from the GPH Wiz which handles graphics and input. So emulators are doable , most of the stuff which runs on the GPH Wiz *should* work on the Didj as well. omg, i missed it. if anyone has ordered a spare one just for the sake of it, or has second thoughts about the order.. please let me know at illlion@gmx.com, id love to hack around with one of these. im sure we can arrange something. Will definitely be looking around for this next time I’m out. Got a few project ideas that could come of it. So what is this one? Next version up or the same thing? any specs or similar hacks? For those of you who want a linux handheld but maybe something with a bit better community, check out the zipit wireless messenger (version 2). It’s like $50, has an SD card slot, and wifi. And I think already has emulators ported. SWEET! I wonder if I can get an Arduino to work with this somehow. I am working on remaking his board using the FT232RL SSOP28 (which is easily soldered with flux). But at first I am going to make a single sided board that I can etch myself without the nand. Cool! I use the FT232RL all the time. It’s a good chip. Post a link when you finish! So, the Leapster2 has USB and card slot built in. I wonder how difficult it would be to add USB to the Didj? The Didj wears a USB Mini-B connector already. Can you nes roms on the didj? My son got a dsi for christmas so this thing has been hanging around the house. I have posted an eagle library for the cartridge pins and have posted a eagle board file that works as a breakout board. I just made a breakout board I didnt use the FTDI chip mainly because I needed a quick breakout board and the final board wont even need a usb it will hopefully just need a microsd. It cant play roms yet but that is one of the goals of the project. The diji already has a usb slot and if you know what your doing you can get to some of the internal storage with it. The wiki has some instructions on this. Great! This is exactly what I need to get started! I tried to massage the Altium Designer stuff into eagle with no avail. With the eagle library we all can just make whatever cartridge we need! I’ll probably start with a SD (maybe micro) and USB serial. Eventually I may look into putting a RF transciever (Like the Micrel MICRF600 series), high-density flash for the OS, and SD for datalogging. Take a look at that cartridge I made because its really easy to make the cartridge lock in like the real one. My goal is to make the pcb like 5mm inside the slot then I am going to sand down a block of plastic and super glue it on the edge of the pcb inside the diji then when the cartridge is in the digi it will look like a real cartridge. I am going to do this with a microSD inside because one we get everything working we shouldn’t need the serial anymore.